It’s that time! Your baby is finally entering that awkward stage between infant and toddler. By the age of 1, your baby knows how to play but now you have to ask yourself this question: What, exactly, do they want to play with? 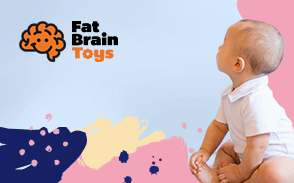 It’s never too early to start with educational toys that will encourage your child to use basic skills, however, you also don’t want to overwhelm your baby with multiple sensory items. Toys for 1-year-olds should be simple and fun. Finding the perfect sensory toy for your busy 1-year-old is not an easy task as parents still can be completely unsure of what exactly their child wants or needs during play time at this age. That’s what we’re here for. Chances are you’ll find something on this list of the 10 best. We’ve scoured the best toys looking for those that gave us seriously fun vibes, a bit of educational skill improvement, and, overall, won’t become boring too quickly. We’ve culled the 10 hottest toys in the market for your little one, and we’re quite positive you won’t be disappointed by looking at this list. If anything, you might be less overwhelmed than when you started. This time, it’ll be because you have too many good options to choose from rather than none. Continue ahead to see what we think are the perfect toys for that playful 1-year-old. For this update, we narrowed down our top 30 list to the ultimate 10 perfect toys for your 1 year old boy. Not only is this a teether and fun box all in one, it offers rubbery shapes that kids like the look, feel, and visuals of. The vibrant colors are a big hit for 1 year old boys. This cube is slobber and drool proof and is very easy to keep clean and manage. Fine motor skills can be enhanced alongside visual sensory perception. You will find right away that your child enjoys playing with a cube that has its pieces attached by easy to manage colorful strings. They are just the right size for little hands at the age of one year. Fatbrain is committed to safe and durable items because they use only the finest materials. You won't have to worry about breaks or damage happening quickly as this is meant to last! It is possible to use it for multiple children in your family if needed. A cube that doesn't really ever grow old. It's a classic cube with a modern twist and babies love it! Your one year old will really get a headstart on learning the basic shapes. The OmbeeCube offers a variety of 6 different shapes for your kid to work with during play. They will be able to see the pentagon, oval, circle, double circle, square, triangle. These all have a molded rubber version that fits nicely inside of the shapes; they are all connected with a sturdy green braided-like string. Your child will have a blast learning his first shapes. We really like that the shapes are extraordinary, not like your usual square, circle, triangle basic shapes in the classic 'match the shape' cubes. It is fun and easy to work with and the shapes are attached by a string for best travel management. Interactive toys with lights and sounds can really grab the attention of young children. This interactive cube is perfect for one-year-olds. It features five sides that each provides a different interactive experience. Buttons on the cube introduce animal names and sounds along with different shape words. Each of the features encourages exploration of the cube plus can promote crawling and sitting. The cube is constructed from BPA free plastic, adjustable volume control shuts off automatically, and motion sensor that activates sounds when it is moved. This activity cube is great to promote and encourage developmental skills while grabbing their attention for endless fun. The Busy Learners Activity Cube is designed to keep your son enthralled for years to come. The Busy Learners Activity Cube not only entertains your son but prepares him for preschool as well. By engaging your child's senses, motor skills, and memory, they’ll develop the cognitive portions of their brain just from playing. The cube is an excellent product for stimulating continued sensory development. It also aids in the development of motor skills, beginning literacy, and musicality. The different activities allow for exploration which is the 1 year old boy’s main task for learning. Give your one year old son his very first oversized building blocks and watch him explore with his creativity and small hands. The First Builders Big Building Bag is the jumbo-sized version of LEGO construction bricks. The set comes with 8- colorful pieces that are made of child-safe materials. A bag of building blocks offers endless ways of playing and discovering for one-year-olds. This starter bag of blocks is a sack full of fun waiting for them to explore and build with. Building blocks allow for endless hours of open-ended play that boost their imagination and inspire hands-on exploration. Let the possibilities begin. Building blocks are great for all ages and are especially great for one-year-olds. They promote and encourage several developmental skills. This set is easy to build with and the storage bag is a complete bonus. Bath time is a great way to play and stimulate the senses of your one-year-old. This floating octopus provides timeless fun in the bath with its standing tentacles. Included with the octopus are three fun shaped rings that make for a great time trying to toss onto the octopus’s tentacles. Each of the toys included in the set has been constructed from BPA free plastic. This will provide endless bath time fun. Playing in the water is always fun for babies and when you can provide them with an interactive experience that promotes their developmental skills. This provides an experience that promotes hand-eye coordination with a ring toss game. This game is fun and offers a challenge that is sure to engage your one-year-old. We love the color of the octopus plus its design including that of the rings. It helps kids master their hand-eye coordination as well as gross motor skills. The vibrant colors are great for sensory stimulation, too. Give your kid his car keys to the Turn and Learn Driver and he may well be on his way to optimum growth and development. This features 5 colorful and interactive buttons that play different songs and sound effects like those of vehicles and animals. It comes with a gear shift lever and a signal light lever, both of which provide different effects. Okay okay, we know that your one-year-old won’t be learning how to drive anytime soon, but it’s true that every kid goes through a phase of wanting to “drive” like their parents. This pretend steering wheel is a great way to give kids the feel of controlling something while also engaging them in fun music and sounds that will both delight and keep them entertained. It is a fun way to teach 1 year olds about opposites, different vehicles and animals, and different children’s songs. It can help stimulate imaginative play while helping children master their motor skills. The songs and phrases can also help with language development. Teaching letters, colors, songs, numbers, and more is fun with this Train. Not only can little ones sit to interact with train, but they can also ride on it too. This features 13 blocks that are double sided with letters that when placed into the train’s top sings a song that pertains to that letter. When placed in the drop space the letters then side into the carriage. On the side of the train is a book with six pages that turn, plus five buttons that are numbered, and an elephant that can be moved around. This not only teaches but is a super fun ride that will provide them with endless hours of fun. Anything that helps our little ones learn to stand and walk is great in our books. And that’s exactly what the Sit to Stand Alphabet Train does. This makes the rigors of learning to stand and balancing fun and simple for children ages one to three. Not only does your child get a head start on important motor skills, but fun songs teach your child their ABC’s! It’s a mobile learning center. It helps develop language skills, fine motor skills, hand-eye coordination, numerical skills, color recognition, and spatial intelligence. It also reinforces visual, auditory, and tactile sensory development. Bath time is fun for everyone with these water-friendly balls. The set includes four clear plastic balls that each features a different fun and friendly animal character. There is a penguin and a turtle ball that rattle and when placed in water are able to stay upright with their perfect balancing. Plus two balls that have been designed with white objects inside that spin and rattles. These interactive balls will change bath time to fun time for any one year old. Provide your baby with a stimulating experience in the bathtub with these four balls. The balls feature fun rattles that allow them to boost their hand-eye coordination through a fun and playful experience. They are easy to hold and grasp making the challenge of gripping and reaching for the balls achievable and rewarding. It has a very simple design. Helps reinforce a kid’s tactile, visual, and auditory development. Great for developing motor skills as well. Learning and fun through technology are easy with this kid-friendly laptop. It features three modes of play that teach shape recognition, common object recognition, about feelings, and music. The keyboard of the laptop includes nine oversized keys that are designed to make it look like a real laptop and are easy to press plus a light up screen. Included on the keyboard is a mouse that moves around and is sized perfectly for their little hands. With over 90 songs, sounds, and phrases early learning will come quickly with this interactive laptop. From babies to kids they always interested in what their parents are doing especially when it comes to computers. This laptop gives them the experience of a real laptop with keys and a light up while promoting fine motor skills and early learning development. This is perfect for your curious one-year-old. The Baby’s Learning Laptop is an ingenious solution for developing a young child’s sensory skills. It provides visual, auditory, and tactile stimulation that helps with optimum brain development. The various learning activities are perfect, too, for the young mind. Capture their attention with the spinning wheel featuring fun cascading beads and bright colors. The wheel catches their attention and encourages them to reach for the spinner, tug at the rugs, and tap to the spin. It also features many textures that help encourage them to explore tactilely. With the suction cup base, it can attach to any flat surface and keeps it in place as they explore and engage in frustration-free play time. This spinning wheel will soon become one of the best tabletop items to engage your one-year-old with. Developmental items are designed to provide your one-year-old with a strong foundation for a lifetime of learning while stimulating to explore more and more. Spinning wheels and bright colors, like this always seem to capture their interest and provide countless hours of engagement. The engagement from this will enhance their visual tracking while development strong hand-eye coordination. This suction cup with spinning feature will keep your one year old engaged and provides something that stays put. This is great for parents trying to keep them busy when trying to complete a task. The sound of rain make from this mini rainmaker is soothing and really catches the attention of one-year-olds. It has been constructed with hard plastic see-through walls that allow them to watch the beads fall while listening to the magic sound that it creates. As the design is simple the level of engagement that this provides is amazing. Your one-year-old will watch in amazement as the beads fall down through the columns. Auditory development is something that we as parents often leave to the side when it comes to focusing on skills that our children need. This is a perfect soothing sound that perfects that learning skill. The rainmaker provides excellent audio qualities that will soothe both kids and parents. The passing of the beads through the small holes on each level is what creates the rain sound effect of the Mini Rainmaker. More importantly, it’s great for developing simple problem-solving skills. One of the first things we did was to listen to child development experts and what they had to say about the need to choose items that are appropriate to the 1 year old child’s developmental needs. We have gained this knowledge in our own search of the best 10 and most appropriate gifts for 1 year olds so that parents will have a better chance of choosing the right toy for their child. We’ve also had to take into consideration the overall design, quality, ease of use and safety. We have read feedback, comments and parental reviews of these products to help us better understand what makes these stand out in the market. Credibility and trustworthiness of the manufacturer were also factored in as well. These formed the framework of our selection process to give you the best 10, most-popular and most-appropriate items you can ever give a 1 year old. When your child’s first birthday approaches, you can expect a lot of changes in their development. These changes can include his or her cognitive, language, communication, social and emotional skills. This is the time that they are beginning to develop awareness of their surroundings and may already begin showing understanding of the concept of object permanence. When they enter their second year, your child will already be exploring more about the things around them. They will also begin showing remarkable signs of curiosity. They’ll start searching for more exciting play time activities as they will start getting bored easily. By this time, they already have learned to appreciate cause-effect relationships such as that if they beat the drums then they know that it will produce a loud noise. While the if-and-then relationship is not as refined as it is in older children, 1 year olds already have a firm grasp of cause and effect. It is therefore, crucial to provide the items that will help encourage exploring of cause-effect relationships as well as develop early cognitive skills. By their first year, parents can expect their children to be able to refine their motor skills. Their child is now starting to become very mobile which allows them to explore, experiment and exercise within the safe confines of their surrounding environment. One-year-olds need to strengthen their larger muscle groups first, like those in the legs and in the arms, before they can start enhancing their fine-motor skills. Nevertheless, their pincer grip will get stronger which should allow them to stack cups and bricks by the time they reach the age of 2. One-year-olds are more fascinated with pictures although they would appreciate you reading to them. They also require simple repetitive songs to help them grow and expand their language. This means that products that play nursery rhymes or even children’s songs can be beneficial in stimulating optimum language development. This can become the basis for the development of their communication skills and allows them to express themselves in a more creative way. By the time they reach their second birthday, they will already know a lot of words and this will help them communicate and express their thoughts to others. Pretend play and interactive items will be important at this stage in their development. You won’t be able to expect your 1-year-old boy to share and interact or play with other kids. He will, however, engage in parallel play. As his self-assurance and self-confidence grow, he is able to play in a more independent manner. They will also begin to reflect the behavior of other people especially their primary caregivers so it is crucial to be a good role model for them. This is often evident in their choice of role-playing activities toward the second year of life. It is therefore beneficial for them to be provided with make-believe toys and other playthings that will allow them to model the behavior of those people they admire. Thinking of a gift to give a 1-year-old boy can be tough especially if you don’t know what you are looking for. Hopefully, with our list for 1-year-olds coupled with our overview of their developmental milestones, we are able to provide you with the correct tools to make the right decision. When selecting for this list, we placed safety and cognitive development as the top priorities. Even at the age of 1, your son is growing both mentally and physically into the man he will be for the rest of his life. But before entering school, playtime is one of the most-engaging learning experiences they will come across. It’s important to not only keep them safe but to develop their minds for proper communication and connection to their peers. For young boys, especially, emotional development can difficult. Every item on this list won’t only entertain your son, but aid in these difficult developmental periods. Cognitive development within a child refers to their growing ability to remember concepts, solve problems, and make decisions. Factors such as emotional understanding, motor skills, and lingual abilities all affect your child’s overall cognitive development. All the toys on our list are designed to further your child’s development in fun, engaging ways and promote further growth. Emotional: Emotional growth and understanding can be difficult to teach children, especially young boys who’ve yet to fully process their aggressions. Boys typically lack the emotional development that girls do, so implementing activities that help your son recognize and understand emotions is wonderful for their overall development. Once they understand their emotions and feelings towards certain situations, it’s that much easier to communicate complex ideas with their peers and parents. Psychomotor: Psychomotor skills deal with the relationship between physical activity and your child’s consciousness. This is akin to decision-making, where your child makes a conscious decision to throw a ball and the body then performs the action. Play items that involve stacking, button pushing, or immediate response to an action your child has taken aids in this type of development. This also produces quick thinking within children to react immediately and physically to new stimulus. Language: Products that improve your child’s language skills involve sounds, words, music, and conversation. Linguistic ability within children appear as early as 4 months, infants typically using a babbling sound to communicate with the outside world. By 1 year old, children have an extremely small vocabulary consisting of two to four clearly definable words. The sooner you begin exercising your child’s linguistic abilities, the larger their vocabulary will be in the future. This allows young children to communicate and learn more complex ideas and also allows them to read at younger and younger ages. One of the best things you can buy and one of the best activities you can do is read to your child. A huge concern for us when selecting these is your child’s safety. We carefully evaluate all possible hazards, concerns, and parent reviews before considering anything on our lists. To be considered safe for play, only nontoxic materials must be used in its making, all pieces must present no choking hazard, and it must be sturdy enough to not break or shatter after rigorous use. Nontoxic Materials: Materials such as lead-based paints have been linked to multiple cancers and respiratory issues, so none of our products include lead. Any item that your child might chew on or put in their mouth needs to be free of any toxic residue, not just free of lead. So all of the products on this list are approved by the Consumer Product Safety Commission and have been given the Children’s Product Safety Certificate. This is an FDA-regulated process, therefore this ensures that only the safest materials are used during production. Choking Hazards: All products on this list pose no choking hazard to 1-year-olds. All pieces provided in the toy kits are at least 1.25 inches in diameter and 2.25 inches in length to prevent swallowing or lodging within the throat. Even though these products are safe for children, please always watch your children closely during play time to avoid any trouble. Damage Proof: All on our list are also resilient, washable, and flame-retardant. These features ensure that no matter how rough your child is, they will not break into smaller pieces, catch fire, and can stand up to machine washing. This also ensures that your child cannot pop out the batteries of their electronics, thus preventing choking hazards or poisoning. Though your 1-year-old is a few years away from formal schooling, it’s never too early for a child to learn. When selecting toys for this list, we greatly considered their features for the intellectual development of 1-year-olds. All come equipped with some aspect of school learning such as colors, numbers, and words. These also instill creativity and communication skills within toddlers to help with the social aspect of a school. Not only will these items get your children ahead of the curve, but they will also allow your children to develop into social butterflies. Preparing for School: Products that teach your children colors, numbers, and basic skills as such help your child for the rest of their life. Advancing their education before formal schooling begins makes the curriculum less difficult and lowers your toddler’s frustrations during pre-k and kindergarten. And at the rapid pace schools are presenting new and harder materials, it will only benefit your child to get a head start now. Creativity: Items that work the right side of your child’s brain, the side most associated with the arts, language, and abstract thinking, promote and advance creative thought. This advancement in your child’s brain power allows them to solve more complex problems than those in their age group. This also allows your child to communicate more complex ideas to you and those around them, aiding in their overall linguistic and social abilities. Social Skills and Communication: What’s especially important for young toddlers is the development of their communication and social skills. Products that speak to your child or implement music into play time exercise your child’s awareness of others. This prepares them for group settings like school, team sports, and clubs while also giving them the tools to effectively communicate with these larger groups. Q: How important are toys and playtime to my child’s development? A: Extremely! Playtime is one of the fastest ways to develop your child’s social, emotional, lingual, and psychomotor skills. This is because the concept of play is very rewarding and easy for young minds to grasp. So it’s extremely important to implement toys that engage your child while also aiding in their overall development. Toys that produce music or sounds engage numerous parts of your child’s brain, therefore making these toys optimal for overall development. Q: What kind of toy’s should I focus on for a 1-year-old? A: As previously stated, items that incorporate music or sound are excellent for the developing mind. By age 1, children begin forming complete, intelligible words. They respond to simple instructions very well and can communicate with gestures. Since there’s a lot going on in the lingual and motor function department, play things that sing or require hands-on activity, such as stacking or button pressing, are optimal for 1-year-olds. Q: Will certain toys affect my son differently than my daughter? A: Girls tend to be more empathetic and caring than boys are at 1 year old, but this isn’t always the case. If you notice your son is a bit more aggressive than your daughter or his peers, then toys that allow him to exercise this pent-up energy are great for his social development. But this increased aggression might scare other children, so a balance needs to be made. Try searching for toys or activities that allow your son to be extremely active in a team or collaborative setting. This will allow him to exercise his motor skills and drain some energy, but it will also teach him the importance of sharing and fairness among his peers. Q: What types of toys positively affect my son’s emotional growth? A: As previously discussed, the promotion of collaboration or teamwork is optimal for developing a boy’s emotional growth at the age of one. Play sports such as soccer, kickball, or even a simple game of catch teach your son how to properly interact with other children. Q: Should I be concerned with educational items for a 1-year-old? A: Yes, it’s very important that you begin developing your children for pre-k and kindergarten as soon as possible. Things that teach your children colors, numbers, animals, and the like make other school activities such as spelling that much easier. It’s never too early to get your child ahead for schooling. With that in mind, look for things or companies that specifically create educational toys for younger children. Again, you want to focus on items that produce sounds and engage your child’s linguistic abilities. Q: What safety features should I look for in battery-operated toys? A: The number one concern with battery-operated things is security. You want to make sure that your child cannot open up the battery case, no matter how much damage they put it through. Never get your 1-year-old something with a poppable back, as these pieces are generally very small and give your children access to live batteries. Q: Will my son’s language skills develop differently than my daughter? A: Generally, language skills are directly affected by peer-to-peer interactions and child-to-parent interactions. This means that, in theory, your son’s language skills should progress at the same rate as female peers. However, if your son shows more aggression than those his age, this might hold back his social skills. This, in turn, will negatively affect his language skills and his ability to communicate with other children properly. Q: What is considered a slow growth for a 12-month-old boy? Is this different than girls of the same age? A: By 12 months, your boy should be forming a few complete words, walking on their own, grasping and reaching for objects with relative success, and playing with others. Should a child fall behind in one of these areas, other skills could be negatively affected. Girls and boys should be at the same level by 12 months, but outside factors could influence the outcome. Q: Why is creativity important for children to learn at such a young age? A: Creativity is the beginning of complex problem-solving in a developing child’s mind. When you prompt your child to think creatively or abstractly about a topic, you’re engaging a rather inactive area of their brain. Continuous activities that challenge your child helps them later in life with difficult concepts such as math and science. Creativity also gives your child a sense of independence and self at an early age, leading to dependable and self-aware individuals. Q: Should I be concerned with my 12 month old’s social skills? A: While concern isn’t the best descriptor, you should consider your 1-year old’s social skills. Even if they aren’t around other children, your child’s social and communication skills are constantly evolving. Part of socializing and communicating is with their parents, siblings, and babysitters. With proper care and nurturing you can hone in on your child’s emotional development for future interactions with others and yourself. Items that promote sharing, talking and cooperative playtime allow your child to better communicate their wants and desires with you in a healthy, effective manner. So, yes, at every age you should consider the progress of your child’s social skills and how to better those skills. Be sure to exercise positive communication and socializing with your child daily while also incorporating items that are specially designed for such tasks.